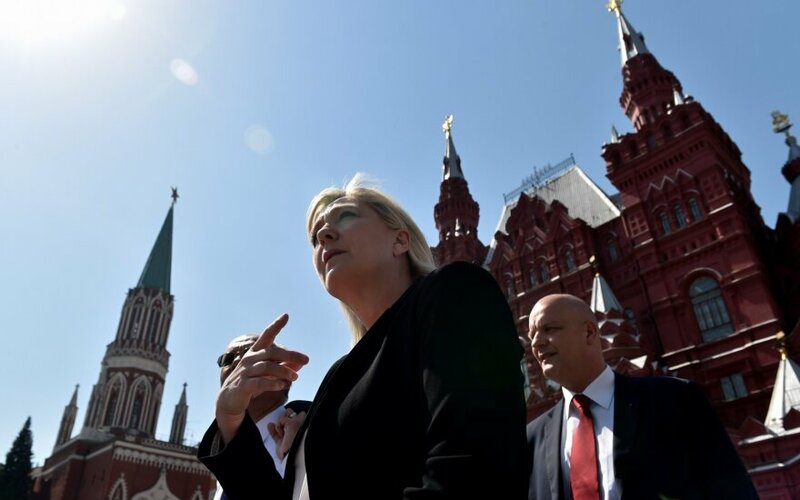 Leading world’s news channels, newspapers and political commentators ring the alarm of the re-emergence of chauvinistic nationalist politics at the thresholds of Western democracies. After the rather unexpected results of the US presidential election and the Britain’s referendum, many hold their breath waiting for the voting results of other EU member states and anxiously wondering how far nationalist sentiments can spread though-out Europe like a black death. A recent issue of The Economist, titled “The new nationalism”, portrayed on its front cover an image of the nationalist revolution taking place in the world politics. It is a satirical reference to the iconic painting of Eugène Delacroix on the French revolution of 1789–99. 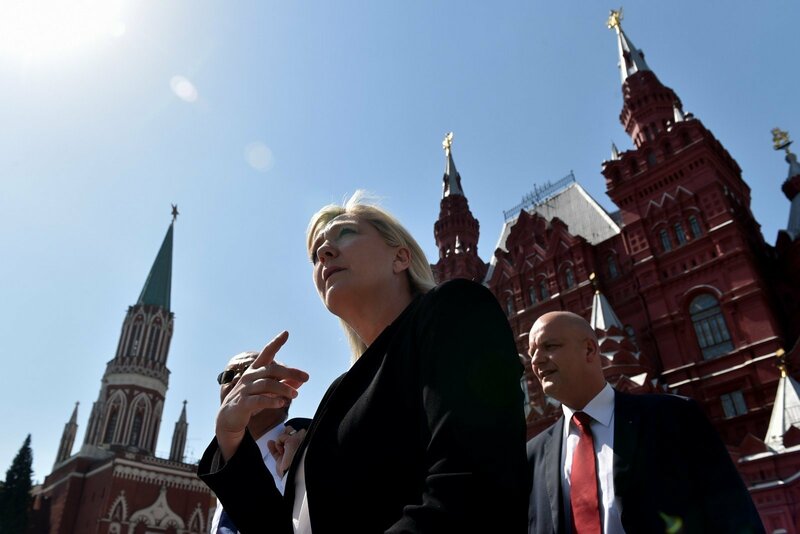 In its interpretation in The Economist, one can see the great nationalists of today - Vladimir Putin, Donald Trump, Nigel Farage and Marine Le Pen, in the role of goddess of nationalism, marching together in the name of the new nationalist revolution. The caricature gives the satirical criticism of the present-day populist nationalist politics and also an alarming vision of the possible new world order where the leaders march under their own national flags. After the Second World War, the establishment of political and economic organizations, namely NATO and the European Coal and Steel Community, the forerunner of the EU, meant to overcome the antagonism between war-torn European nation states. However, today we witness a clock turning back - rescission within the transnational organizations due to the rise of the new nationalist politics that question the legitimacy of the broader alliances, call to return power to the nation states and thus challenge the present international status quo. Like a real businessman, calculating profits and loses, Donald Trump in his election campaign questioned the US engagement with NATO to protect the Baltic States thus spreading the warning signals to the Baltic States and the encouraging ones to Russia. The EU member states, as if in amnesia of the blood-shed of the 20th century in Europe, turn back again to the nationalist ideologies and threaten the existence of economic and political alliances that granted piece here, on the European soil, for couple of decades. These political developments do indeed offer a nightmare scenario for the Baltic States. For the people disappointed by the present status quo and the impersonal anonymous bureaucratic transnational institutions, the charismatic chauvinistic politicians might indeed offer a more attractive momentary alternative. However, what is attractive for masses does not necessary bring good in politics. François Cusset, the author of La Droitisation du monde (Rightization of the World), in an interview at La Figaro states that if Donald Trump indeed implements all what he had promised during his election campaign, we will be in the Third World War. If we look to the rise of the right wing politics as a revolution of sorts, one should also remember that revolutions not only promise a change in the status quo but also are followed by the immense violence, suffering and death. Arab revolution and the continuing multi-sited armed conflict in Syria glaringly show the dangers and futility of the modern revolutions. Attempts to overthrow the president dictator Bashar al-Assad seems only to entrench his position and further fuel the un-ending suffering for the majority of the Syrian population and cause world-wide refugee crisis. The rise of nationalist politics in the EU did not happen out of the blue, but rather is related to economic and social factors. With the strong exception being Germany, many older EU states have been undergoing economic hardships. In addition, refugee and immigrant flows from Middle East and Western Europe create the feeling among the EU old-timers that they constitute not only the financial burden, but, most importantly, that they threaten social and cultural fabric of the Western societies. The puzzle that politicians and policy makers have to solve is how to deal and accommodate the new-comers trying to comply in between the EU commitments and the citizens’ sentiments. Lithuania and other Baltic States do not yet face real challenges that are felt by the older EU states. Up until now being a member of the EU for Lithuanians meant largely growth and improvement – financial inflow, opening of the world and the new possibilities. And though people in Lithuania generally are reserved in praising economic growth, our situation in a less than two decades improved significantly. Here likely everybody, especially youth, would agree that their lives are so much better compared to their parents’ generation. This is the major reason why in Lithuanian politics today one hardly encounters radical nationalist and anti-EU sentiments. However, some worrying signs do emerge. Certain marginal nationalist groups have been annually organizing demonstrations in Vilnius exposing new-fascist symbolic and voicing anti-minority slogans. In terms of parliamentary politics, during the recent Lithuanian parliament election nationalist rhetoric did not play a role. However, some political parties, mimicking the rhetoric of the nationalist parties in the EU, capitalized on the immigration problem. The Labour Party went into election with posters bravely stating that they will stop the immigration flow, though at the time Lithuania had fewer than twenty refugees residing in it (Editor - the Labour party managed to get only two MPs elected). Moreover, one can encounter Eurosceptic notions among some political commentators and the general public. Despite of critical perception, there are little attempts to weight carefully the actual advantages and disadvantaged of the EU membership as well as to offer alternative economic, political and social imaginaries. Today nationalism and Euroscepticism is still not strongly felt in Lithuanian society and politics. However, the crucial question that lingers in mind is how Lithuanian attitudes and politics would change when the financial flows from the EU will shrink from 2020. What attitudes and loyalties Lithuanians would share in the face of some real economic, social or political instability? The present world crisis indeed constitutes a good test for the new EU member states which in turn can either jeopardize or strengthen their position within the Union. One has to prepare the Lithuanian society to view the EU not as a cash-cow, but to treat the membership in the EU as an opportunity to develop country’s political maturity and to become a fully worth member state that not only receives financial aid, but also contributes to overcoming hardships within the Union. Maybe at the time when the old member states are in doubt namely the new ones have to keep the belief in in the EU going. The rise of anti-EU sentiments and nationalist groups within the Baltic States would eventually mean that they bite the hand that guards and feeds them.